Chip has spent 20 years in large-scale computing and open source software. In 2015, he became the co-founder of the Cloud Foundry Foundation and has been it's Chief Technology Officer since 2016. 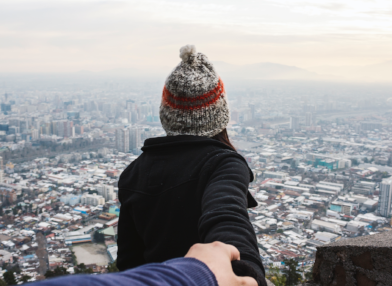 Prior to the Cloud Foundry Foundation, he was the VP of Product Strategy at Cumulogic, an early stage startup building a multi-database DBaaS platform. He was the first Vice President of the Apache CloudStack project within the Apache Software Foundation, a platform he helped drive while the lead architect for Enterprise Cloud Services at SunGard AS. Prior to SunGard, he led teams building mission-critical applications for organizations including IRS.gov, USMint.gov, Merrill Lynch and SEI Investments. Chip is an experienced speaker at events like OSCON, LinuxCon North America, LC Japan, LC EU, ApacheCon, O’Reilly Software Architecture Conference, Cloud Foundry Summit, CloudNativeCon, and many more. He contributes (infrequently) for The New Stack and Forbes, is known to show up on various enterprise technology podcasts. He has been interviewed countless times by industry press and analysts on a variety of cloud computing, open source and enterprise technology topics. Presented on the keynote stage at Pivotal Software's SpringOne Platform 2017 conference in San Francisco. Keynote at the O'Reilly Software Architecture Conference 2016 in New York City. 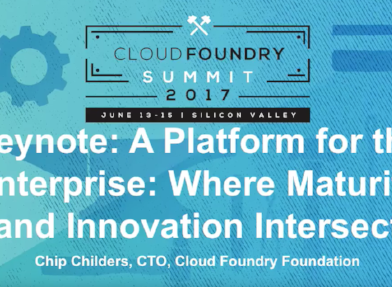 Keynote at the Cloud Foundry Summit NA 2017 conference in Silicon Valley. Here's a YouTube playlist of other talks I've given.